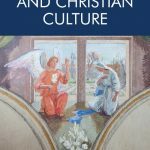 Our featured article this week is the editorial from the April 2013 Studies in World Christianity which is currently available to download free. It focuses on the perceptible shift in the centre of gravity of Christianity from the global North to the global South. This piece by Afe Adogame outlines themes contained in articles from the April 2013 journal and in particular concentrates on one indicator of the shift – “demographic expansion and increasing public visibility of new brands of Christianity in Africa, but also now in the African diaspora”. The resilience and processes of renewal and revitalisation of African Christianities, often characterised by contestation of power, space and identity, has continued to attract scholarly gaze and critical scrutiny. Scholars attempt to address and or revisit methodological, theoretical, theological, ideological and social-historical implications of research on the growing phenomena. The articles put together in this issue share a commonality by focusing on two specific variants of African church independency – the African Instituted Churches (AICs) and Pentecostal/Charismatic Christianity; and the evolution of an African-derived Christian religiosity, the Black Majority Churches (BMCs) in Britain. The fact that the articles in this issue were received from individual contributors, rather than as solicited papers for a special issue, is a pointer to the sustained interest and emerging stature of ‘African Christianities’ within World Christianity discourse. To read the entire article, and indeed the edition which expands on these issues, visit the Studies in World Christianity site.